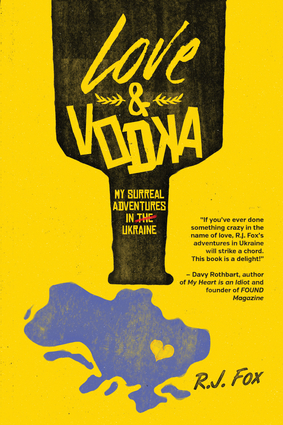 Love & Vodka is a book with broad appeal. It is a unique hybrid of travel memoir and love story that seamlessly blends humor, culture shock, and romance. It is about taking a chance in life and seeing where it leads, as well as learning more about the world—and about yourself. The world is large and full of potential; one just needs to be willing to take a gamble and explore the possibilities that exist.Bobby is over the moon after sharing a bike on the E.T. ride at Universal Studios with Katya. Join our "intrepid crusader" as he takes a leap of faith—traveling from comfortable "have-a-nice day…and have-a-warm-shower" suburban Detroit to the former center of Cold War Soviet missile production. And unbeknownst to anyone but himself, he's bringing an engagement ring! Experience life in a city that, until the mid-1980s, was closed to foreign visitors. R.J. Fox's humorous, poignant, and memorable expedition is punctuated by a colorful cast of characters, adventures, and cultural mishaps and misunderstandings—from irate babushka women to hard-drinking uncles. Lesser mortals might have "phoned home" to be rescued. Armchair travelers and romantics—you will find yourself both schooled in hard knocks and heartened to have shared in the unforgettable experience of Love & Vodka! "Za vashe zdorovie!"